Ten years after the launch of Chloé Eau de Parfum, Absolu de Parfum celebrates the anniversary of an icon. 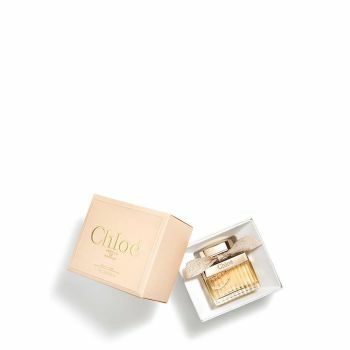 An irresistible essence that intensifies the signature Chloé fragrance. This new woody, textured floral scent is more captivating than ever. The intensity and depth of the Damascena rose is combined with an absolute of Centifolia rose from Grasse. While vanilla absolute unfurls its round, velvety facets, a touch ofpatchouli adds character. Dipped in 24 carat gold, the collar is graced with a delicate hand-tied ribbon set with gold thread.